Photo: Marcel Köppen; purchase with support from Mondriaan Fund and VSBfonds. 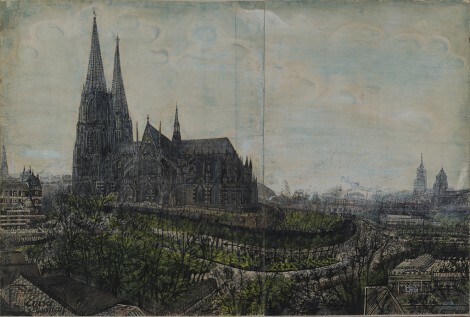 Panoramic view of the city of Cologne. Until around 1960 Van Genk drew large cityscapes, large birds-eye perspective drawings of buildings and city panoramas, which he gathered together from travel books and magazines.